We push WordPress as the only acceptable platform for legal websites. There is a downside: WordPress’s ease of use has led to widespread adoption. And with popularity comes hacking. WordPress is notorious as a target for hacks. A hacked WordPress site is quickly rendered almost invisible (with the exception of highly branded queries) to search engines as they proactively steer users away from a sites that are out of the site owner’s control. This warning is the kiss of SEO death for a site. 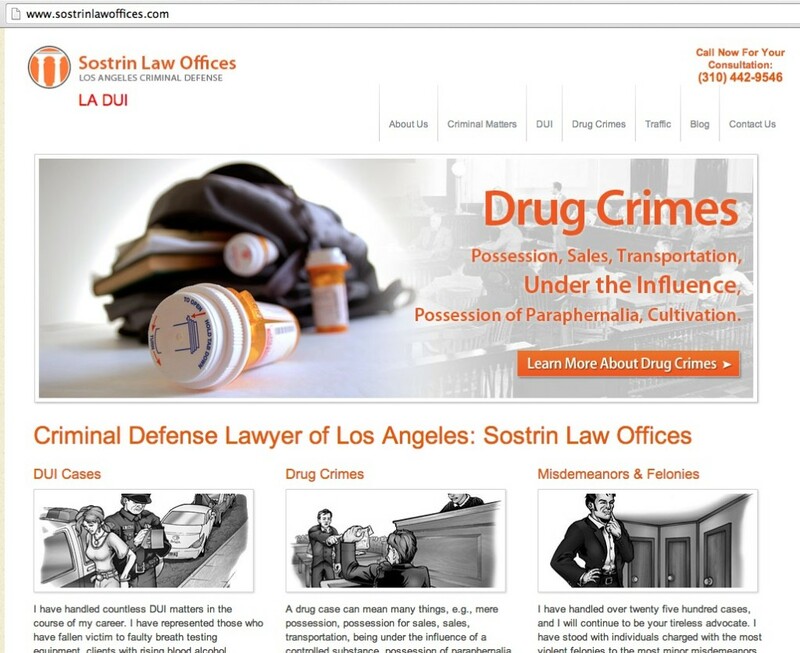 In fact, searches for “criminal defense los angeles” didn’t return this site within the first 100 results, even after I had visited it. Its a good looking site, with good content but I suspect is utterly invisible to search traffic. We’ve had one client who came to us with a hacked WordPress site – their search traffic had essentially flatlined, the phone stopped ringing and their PPC spend had exploded by 300% as even branded search queries weren’t returning their site, so existing customers were clicking on their PPC campaign just to get the phone number. Disaster. For this firm, we were utterly unable remove the malicious code after three different attempts and were forced to rebuild their site entirely from scratch. There are a few hosting companies that have sprung up to help site owners minimize the hacking risks of using WordPress – this is called Managed WordPress Hosting. In short – this is the process of a)automating frequent backups b)automating updates to the most current WordPress version and c)eliminating WordPress plug-ins that are vulnerable to hacks. We use WP Engine and they also happen to offer stupendous customer service. While more mainstream hosting providers have started offering Managed WordPress hosting, I’d strongly recommend working with a company that focuses exclusively on the platform – Pressable (formerly ZippyKids) also has a strong reputation. With basic plans coming in around $30 a month (at least 300% more than standard mass hosting solutions), Managed WordPress hosting is more expensive. 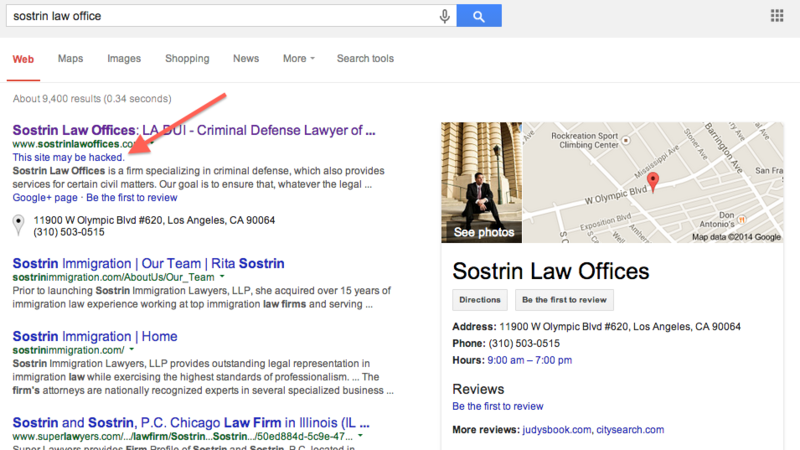 But this is one situation where you get what you pay for – I’m pretty sure Sostrin Law Offices would be happy to increase their hosting budget right now. Managed WordPress hosting is the only way to go. After having my GoDaddy hosted site pharma-hacked twice in a matter of a few days I switched to a managed hosted service that only does WordPress sites. In addition to not being hacked my site speed increased drastically.